A few weeks ago as I was approaching Hannah's preschool playground I heard some crying. As I got closer, I recognized the crying and saw my daughter with one of her best friends and a teacher close to one of the trees. Part of me wanted to run to Hannah, but another part of me wanted to stay back and watch the situation unfold to see what happens when I'm not there. I decided on the later, and my appreciation for her centre - and the amazing people who take care of her - improved even more, which to be honest I never thought it could. I was home on mat leave with Hannah the first time we saw Big Block SingSong. It was definitely unlike anything I had seen before. 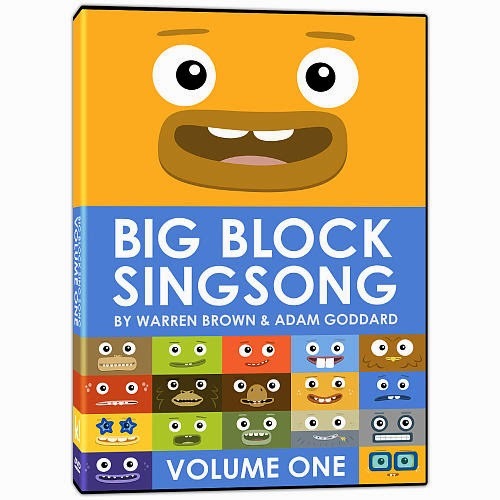 Big colourful block characters sing catchy educational songs in a variety of musical genres. 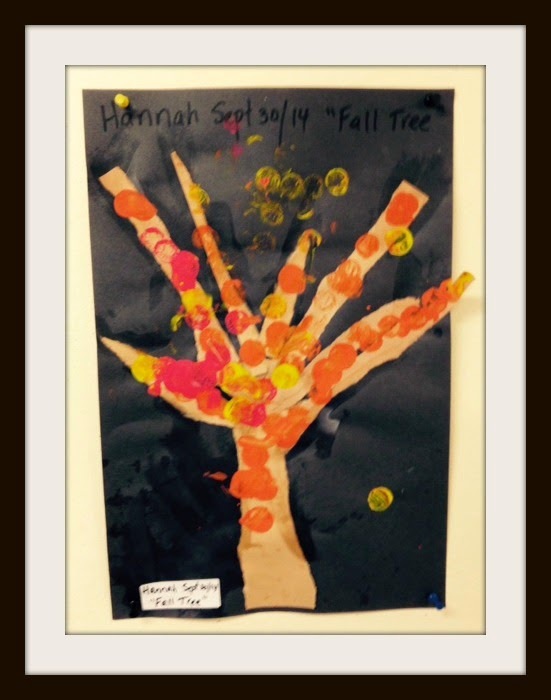 It caught Hannah's young eye because of the screenfuls of colour. I liked it because the songs have a great beat and quirky lyrics. Now that she's a preschooler, Hannah likes watching Big Block SingSong for the music - and the quick story lines. She likes to guess the animal if there is one in that episode, and she often dances along while playing her tambourine. I still like it because it reminds me of Flight of the Concords for kids. The fun and engaging animated musical series, which currently airs across the globe on TV (Kids' CBC in Canada), will be available on DVD for the first time ever in the U.S. and Canada on October 28th. 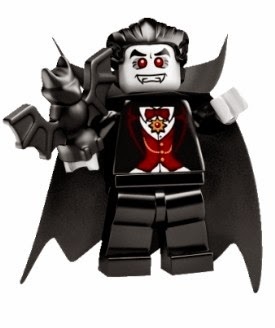 Halloween is almost here and the LEGOLAND® Discovery Centre at Vaughan Mills is celebrating the entire month of October with Brick-or-Treat! Every Saturday and Sunday in October (and Halloween Day - Friday, October 31) little ghosts and mummies can come and enjoy the themed décor, spooktacular entertainment and costumes and much more. All included within the price of admission! When I was little, the only time I recall Barbie being on TV was during commercials. I would jump up and down and remind my Mom that Christmas or my Birthday was quickly approaching. (I kid you not, one year I actually "measured" Barbie's RV Camper from my television screen to a big box under the tree - let's just say I was NOT disappointed Christmas morning). Ladies and gentlemen, Barbie is now on TV. The first-ever 22-minute episode of Barbie™ Life in the Dreamhouse is coming to Teletoon on November 23rd at 5PM and YTV on November 30th at 8:30 AM. 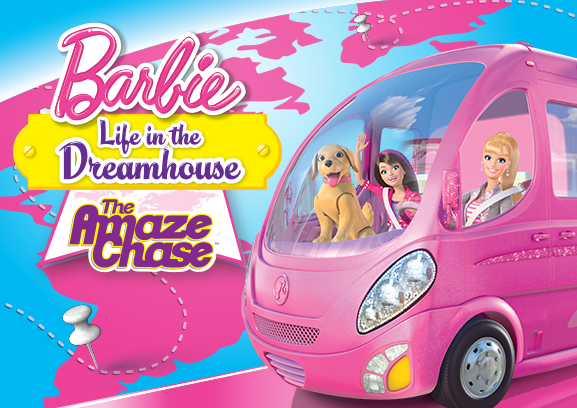 In the episode, Barbie, her friends and family are getting ready to compete in the reality competition, The Amaze Chase! Five teams will be racing around to famous Barbie locations for the top prize. Your child and their BFFs could watch them take on adventure from their very own Barbie® Amaze Chase party! Looking for some delicious treats that older kids can help create? 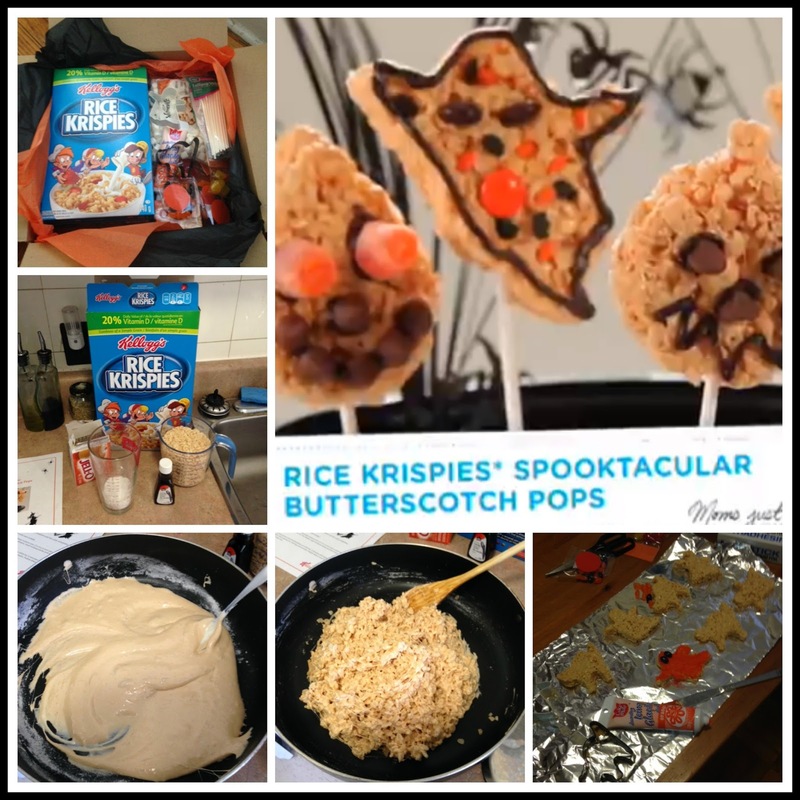 Check out all the awesome ideas on the Rice Krispies website (scroll to "Halloween"). I attempted to make the Spooktacular Butterscotch Pops (I write attempted because I did not make them pops). Would you like to make them? Here's the recipe. Back in the summer, Chris, Hannah and I were at a museum when I needed to use the Ladies Room. While I was gone, Hannah sang to Chris, "Where is Mommy? Where is Mommy? It's a mystery, a mystery!" Of course, this was after she discovered Yo Gabba Gabba! on Netflix Canada, and the episode "Mystery". (The real song goes "Who is Fooful? Where is the picnic? It's a mystery, a mystery!") Plex and Toddee are sent on somewhat of a scavenger hunt to find Foofa - and after going through a scary bat cave (in which Plex tells Toddee not to be afraid of the dark) they meet Fooful, who turns out to be Foofa's brother, and they all enjoy a picnic at the beach. Another great part of that episode is when Muno "loses" his hat, and he and DJ Lance Rock sing a great song "Look Again, You Might Have Missed It" which I can see singing to Hannah very soon when she asks me about where a certain toy or book is. Amir Johnson from the Toronto Raptors has partnered with Swiffer to change the definition of Man Clean, encouraging men to boast about their cleaning swagger. 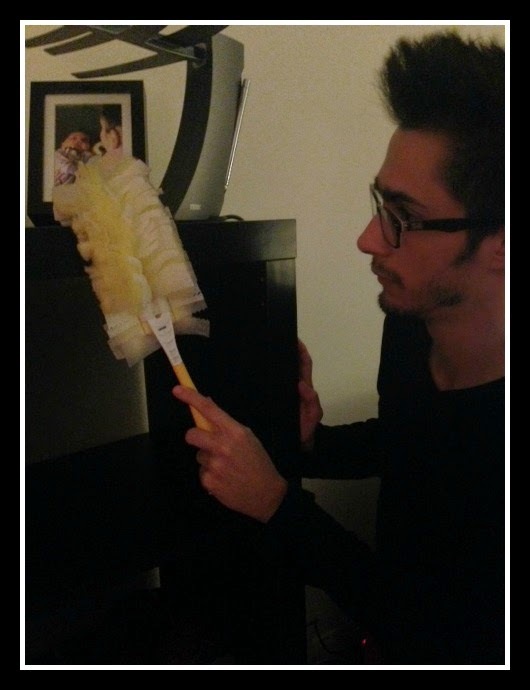 After reviewing his tips on how to clean like a man, unofficial P&Gdad Chris decided to share his own tips in the post below. When it comes to cleaning, men have a bad reputation. And I can’t say it’s not warranted. I lived with male roommates for several years and we were often lax on household chores. I’ve certainly been guilty of cutting corners in the past. But since I’ve been with Sarah I’ve tried to step up my cleaning game. Whenever I find myself alone in the house, I make it a point to set aside some time and clean. Sarah does the same when I’m out of the house, and so between the two of us we’re a pretty great clean team. While pregnant, one of the things I looked forward most to was watching childhood movies with my son or daughter. Between my brother and I, we seemed to have all the classic Disney Movies - on VHS. So I started collecting them all again - this time on DVD & Blu-ray. The latest movie added to our collection? 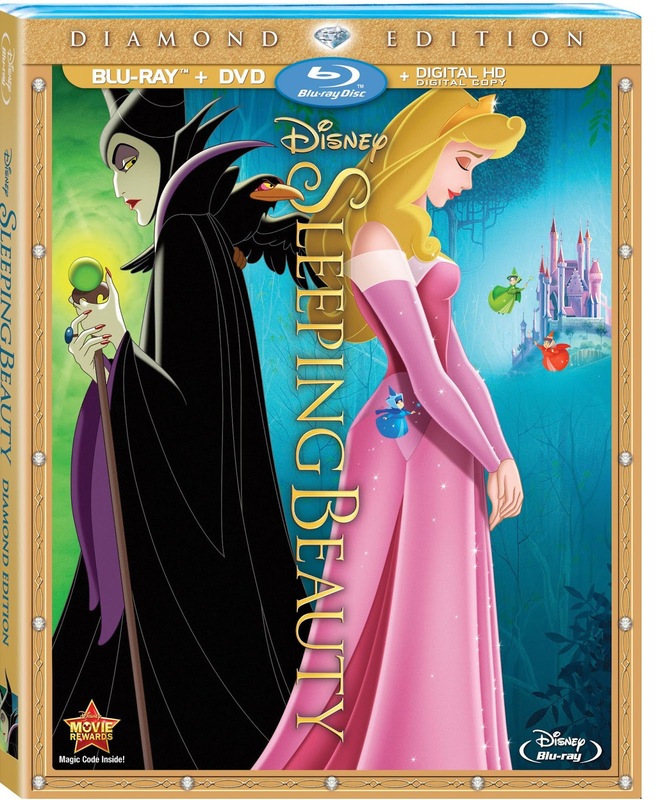 Sleeping Beauty, available in stores on Tuesday, October 7th, 2014. We made it a family affair last Saturday afternoon, as we all piled on to the couch (cat included) to watch the digitally restored picture and sound of the 1959 movie.